According to Fannie Mae's National Housing Survey for the first quarter of 2012, delinquent borrowers expressed more negative viewpoints toward homeownership and paying their mortgage than underwater borrowers and individuals who have seen their home value decline. Delinquent borrowers were found more likely to consider stopping their mortgage payments compared to the other two categories of homeowners. Specifically, 41 percent said they thought about stopping payments, while only 11 percent of those who say their home value decrease considered stopping and 10 percent of underwater borrowers said they thought about giving up. Since the survey's inception in 2010, Fannie Mae has found the attitudes of underwater borrowers are similar to that of the total mortgage borrower population, which suggested that delinquency is a greater influence toward default than negative equity is. "Results indicate that helping keep mortgage borrowers current on their mortgage is a beneficial goal since the negative attitudes resulting from delinquency for the borrower (and those they influence) may be hard to repair and could evolve into ingrained delinquency behaviors," said Doug Duncan, senior VP and chief economist of Fannie Mae, in a release. Stress about making payments was something that 82 percent of delinquent borrowers said they experienced, while only 41 percent of borrowers who saw their home value decrease felt the same. Just 35 percent of underwater borrowers reported feeling stressed about making timely payments. As reported in a DSNews.com article, Fannie Mae said underwater borrowers and individuals with decreasing home values are still experiencing non-financial benefits of homeownership such as control and personal security, which factor into their having similar attitudes to the general population in terms of mortgage payments. 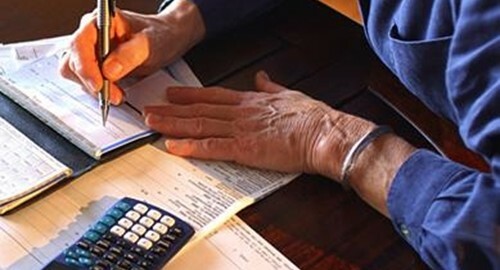 With negative feelings about paying off a mortgage existing at all, regardless of the category of homeowner, lenders would greatly benefit from investing in not only loan management software but an amortization calculator as well, to keep track of all payments and ensure they are done in a timely fashion.